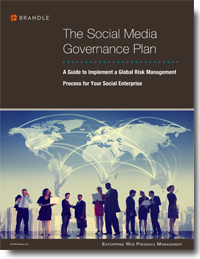 Social Media Governance Plan eBook | Brandle Inc. This E-book by Brandle® guides you through the process of how to create a comprehensive and corporate-wide Social Media Governance Plan for a Social Enterprise. The audit process for the corporate social media accounts, and the accounts of employees and key partners.